Life Doesn’t Begin at 60… But That’s When it Shifts Into High Gear! When I turned 17 my mother told me that ”17” is the best year of your life. I think she was right because that year was incredibly fun. I had already begun working as a journalist and was making good money even though I was still in high school. That summer we were working on our first film, a comedy titled ”Tarzan – Son of Moose” which Swedish Television purchased and aired for the entire population of Sweden. That was the year it all happened! It’s always nice to celebrate birthdays. Unlike many of my friends and colleagues I think it’s fun when people come together to acknowledge that I have gotten another year older. There is nothing wrong with getting older; in fact there are a lot of perks that come with age. These days the conception seems to be that growing old is ugly, or perhaps we are frightened by the realization that we are not immortal. Wrinkles and wisdom often go hand in hand. Throughout the years, in my search for people with interesting stories and insight, more often than not it is an older person. Young people are perhaps outwardly beautiful but often have difficult problems to deal with. It could be that they just lack life experience, have not found the right career or achieved security in life. The nice thing about being older is that the chase for material gain has slowed down, and the need to prove yourself has subsided. Accept me as I am, or not! Wrinkles are like fine jewelry on a person. When I was about to turn 40 my mother told me that the years between 40 and 50 were the best time in life. And you know, she was right again! I married LaVonne when I was 25 and we had our fifth and last child shortly after I turned 40. When our youngest was out of diapers we were able to take all the children with us on our trips around the world. Sometimes we stayed for extended periods of time in the US and Alaska, something the children remember as grand adventures that gave them valuable experiences. 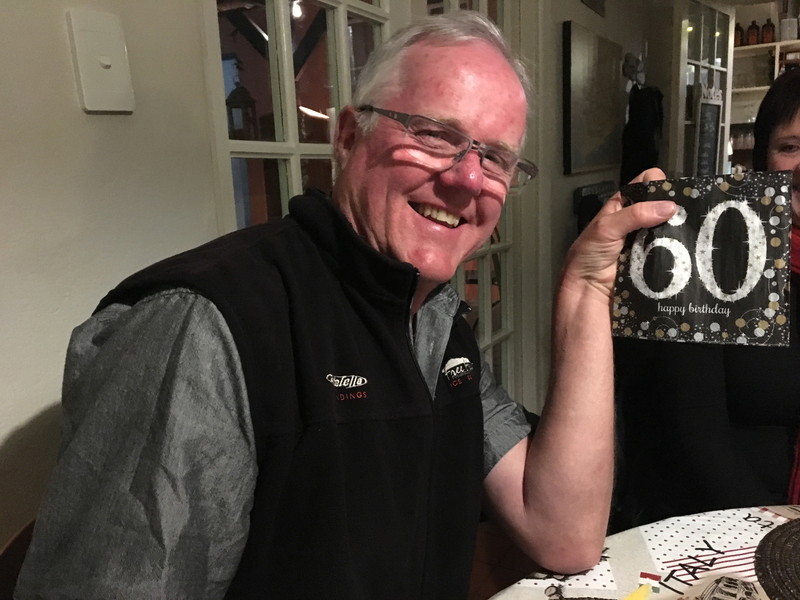 I concluded my fourth decade by celebrating my 50th birthday with a party on Sri Lanka. We rented a beautiful hotel with a pool and a wonderful garden. More than 70 people from various countries gathered together to commemorate the day. For two weeks we celebrated with various activities and when the others had gone home, our family stayed for an extended working vacation. I doubt that any of the people who were with us for my 50th birthday will forget that evening or the weeks that followed. Being 50+ was no hardship either. Everything sort of became easier and better with age. Things I had taken for granted became more valuable and new experiences more pleasant. As I neared 60, I began planning for my next “big” birthday party. We had begun working in Namibia, a place I immediately fell in love with. Namibia reminds me a lot of southern California where I met my wife, LaVonne, nearly 40 years ago. I soon decided that Namibia would be a great place for a party. We decided on Secret Garden Guesthouse in Swakopmund, a beautiful city on the west coast of Namibia. In conjunction with the party we arranged a two-week safari/tour of the country for anyone who wanted to join us. We arrived a week early to work on an exciting new project together with Peter Johansson and his wife, Marianne, from Vänersborg’s museum. Then our guests began arriving. On my way to the airport to pick up our first guests, we had just left the capital, Windhoek, when our car hit something hard. It was such a jolt that I feared the car would be too damaged to drive. We stopped immediately to investigate and there, in the middle of the road, lay a dead leopard. Other cars stopped and there was soon a traffic jam. My chauffer grabbed the leopard by the tail and dragged it off the road. Somebody screamed that we should all get back in our cars because there were other leopards in the area that could attack us. Our car was not damaged so we were able to continue on our way, but we were deeply saddened. A couple days later, when all the guests had arrived, we set off on our safari to Etosha National Park to see lions, elephants and an abundance of various wild animals. Unfortunately, the only leopard I saw this time was the one that lay dead on the road. After a week-long safari we met up with more friends for my birthday party in Swakopmund. We were there for five days doing all kinds of fun activities like whale safaris and quadrunner races in the sand dunes. And I turned 60! So now, suddenly, I’m 60+, and I’m wondering what adventures are waiting for me in the next decade. When I first came to Kodiak, my curiosity was aroused by the numerous references to Scandinavia in the names of streets and places like Anton Larson Bay, Larsen Bay, Ole Johnson Avenue, and Benny Benson Road. Searching through Kodiak’s telephone book, I was perplexed by the names listed there ­– Carlson, Berggren, Billstrom, Peterson, Antonson, Christensen and Grönn. Where did all these Scandinavian names come from? Digging a little deeper, I discovered a history of Kodiak that has never been told, much less documented. 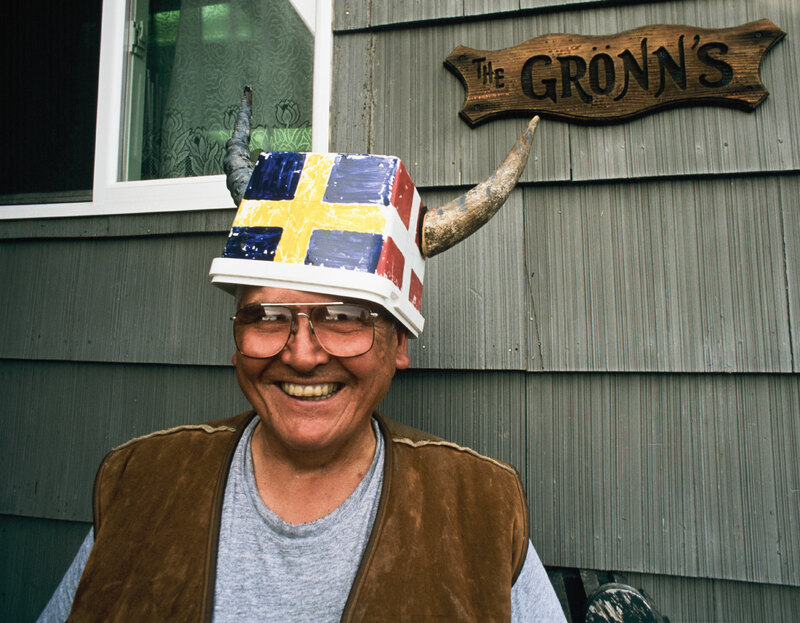 In the early 1900s, hundreds of young Scandinavian men arrived on Kodiak. They settled in some of the most remote villages on the islands, married native women, and had large families – ten to twelve children were not unusual. Most of them seem to have been fairly secretive about their past and their homeland. Their children and grandchildren know very little about that side of their heritage. One summer, I was invited to attend the Sons of Norway Club’s annual barbecue on the beach. I was looking forward to meeting some of the Scandinavian-Sugpiaq people that had captured my curiosity. Carl, who is also a fisherman, stood watch over a couple of beer kegs. “Would you like some?” he asked. Before I could answer, he lifted the lid off of one of the kegs and pulled out a large, newly cooked Dungeness crab. Carl, or “Kalleman” as his father used to call him, soon became one of my dearest friends. It was a wonderful barbecue. I got to know several Scandinavian-Sugpiaq, who told me about their heritage and what they knew of their forefathers. A couple of days later, I was invited to Carl’s home for a cleansing in his “banya.” A banya is a Russian sauna, but it is different from the saunas we are used to in Scandinavia. More primitive, it has no shower facilities, only a barrel in the corner with cold water dripping from a hose. To cool off, you scoop up the cold water in a stainless steel bowl and pour it over your head. Sounds excruciating, perhaps, but it’s actually quite invigorating. A Swedish Ö is an O with two dots. A Norwegian Ø is an O with a line through it. There is no way that a Norwegian would spell his name with a Swedish Ö. I turned to Carl, and asked him if that was the way his father had spelled his name. “Yup, he sure did,” Carl said proudly. It took some time, but Carl has now recovered from the shock and accepted the possibility of an alternate heritage. Don’t miss our first ”Kodiak Scandinavian Film and Culture and Festival” on Kodiak, Alaska, November 6-12, 2017. See Camera Q for more information.